Re: Stanford Arms – I well remember this in the 1960s. As a cycling member of Brighton YHA Group we used to do extensive cycle runs on Sundays through deepest Sussex. The day was always well rounded off when we parked our bikes in the rear passage of the pub and went up the stairs to the Stanford Folk Club. There must be thousands of hours of tape recordings somewhere ‘cos every evening was recorded. They had some famous names there like Jeremy Taylor, Brian Golby, the Coppers, local artists such as Tim Broadbent, et al. Hello there – in the midst of an evening’s mouse-clicking at what is now home for me here in France I happened to stumble upon Chris Brady’s comments concerning the Stanford Arms, Preston Circus. Forgive my nostalgia but Sunday night at the Stanford was, as a somewhat bemused teenager and trainee entertainer, nothing short of magical. Too many names to mention but Miles Wootton, Johnny Winch (with whom I enjoyed many months touring in Germany), Rod Machling, Spud Taylor, Brian Golbey often rounded off the evening AFTER the guest spots and the ambiance was nothing short of electric with everyone singing – and simply enjoying a great night out. And a special mention must be given to Jim Marshall who put it all together. They were formative years and ones that I shall never, ever forget. Thank you Brighton. No performer, but Sunday night at the Stanford Arms saw me first-five in the queue during those wonderful sessions you mention. Brighton bread and buttered but long since left. I fondly recall the songs, the laughs, the stout and cider pints and the long walk home along the Lewes Road. And Tim, I saw your first endeavour at the Stanford Arms. A thin and gawky lad with a guitar as big as you, I see you now. Do well him, I thought. Spot winners, me. I too have a home in France alongside the river Loire, funny how things work out, great really, for some. I can’t imagine a richer experience than Brighton in the 60’s; of mods and rockers and Devil’s Dyke and jumping off the pier into the sea and Brian Golbey singing “Goodnight Irene” with umpteen repeats of the last verse. Heady stuff. God bless those who were there. I’d just like to add my thanks to all the 60’s Stanford Arms crowd, especially Tim and Spud Taylor. Magical can’t really describe the night I dropped in to see one of the last performances by Rev. Gary Davis right there in the chair. It’s now a lifetime later but the inspiration gained from you guys has kept me in touch with ‘good’ music all my life. Why are all the Stanford Arms regulars running away to France – perhaps because the club doesn’t exist any more? As we sit here in our home in Manche (France) Christmas is not the same without hearing Tim sing “The Workhouse Boy” and we also miss the hilarious annual Mummer’s play. The first person I saw at the Stanford was Ralph McTell – not a bad start! Ham and I went there on our first date and we have just had our 34th wedding anniversary – so the club has a lot to answer for! Ham knew Tim at school but did not know he was a singer until he went to the Stanford. I wonder where all those tapes are (as mentioned by Chris)? On behalf of some French friends Mr and Mrs Raymond Spoli, in Laroque de Fa, France, I am trying to find out what has happened to Tim Broadbent and Steve May. As a complete coincidence we were talking after election to local council here and they asked if I could use the internet to find out. Well I remember Tim from Brighton days, coincidence 1, coincidence 2 is that I now own the house in Laroque de Fa that used to be owned by Steve May – small world. Mrs Spoli is worried because the last contact she had with I think Steve was a few days before the terrible tsunami. Is there anyone out there who can ease her worry and maybe put them back in touch? Thanks very much, I was also quite involved in the folk scene whilst at Borough Road College, Isleworth in the late 60s and early 70s, travelling frequently to Brighton. I was known as Jos Moore. Tim has a website at http://timbroadbent.com/home and he can be contacted via that. He is playing with Steve May later this year. Like a lot of Brighton teenagers in the early to mid sixties, I tried the Sunday folk evenings at the Stanford Arms, but I always found the experience depressing. I was expecting things to be Bob Dylanesque, then new and very exciting, but I never took to those phoney English yokel voices performed with much cupping of ears and the weedy communal singing. Allan ‘Spud’ Taylor, who I remember from school where he was two or three years older than me, sang there and is still biggish internationally in this niche musical area. Check out his website, which is interesting. When I can Google up sites such as this all my misgivings re the internet vanish. I was a fairly regular performer at The Stanford Arms at this time, being a student at a Drama School at Ventnor Villas in Hove. I played a regular gig at The Devils Dyke at that time for a man whose name I recall was Kramer. He saved my life as at that time the only cash I had coming in was from those few gigs that I could muster. He’d pay me £3.50 for a 20 minute slot, good money at that time, introduce me to all his blue rinse friends and make sure I was well fed before sending me stumbling into the night. These are fond memories. Allan ‘Spud’ Taylor I remember and there were several other players whose names escape me, including a local banjo player who was a regular. My own musical career suffered as I’ve spent the past 36 years working as an actor, which is a different kettle of fish to the muso scene. During the past two years however, at the age of 65, with the kids making their own lives and the acting business giving me up, I’ve finally put together ‘Lonesome Doves’ the band I always wanted but somehow never had the time to oganise. They were great days at the Stanford Arms and the nostalgia when I think about that time is almost heartbreaking. I was at the Bind Gary Davis concert which, if my memory serves me right, was at the Pavillion and also on the bill were Buffy Saint Marie and Ramblin’ Jack Elliot who hopped on stage with a broken leg in plaster! One of the good things about the club was the broad range of music which spanned the traditional ‘ear-cupping yokel’ stuff which Chris Taylor mentions right through the Blues to Brian Golbey singing Jimmie Rodgers Blue Yodel, stuff which he was wonderful at singing and I’m sure still is. Rod Machling I recall, and his version of Darlin Corey, what happened to him!? Some of these people may not of course still be with us but if they are and anyone reading this knows where they are then send my love. They may not remember me, but send it anyway. As far as I know, all the Brighton characters mentioned in the previous comment are still in the land of the living. Brian Golbey lives near Nottingham, Tim Broadbent in France, Rod Machling up in the wilds of Scotland and Miles Wootton is, like me, still in Brighton. I gave up folk club organising a few years back, but am still involved in the local scene as co-editor of The Folk Diary which started when we were at the Stanford and is still going strong today, 38 years after. Must correct Richard Vanstone’s note regarding the Gary Davis gig: it was actually at the Stanford Arms. He was over for the Cambridge Folk Festival and I was lucky enough to book him for the club. That evening was so packed that we had people sitting in the side room. They couldn’t see the Rev. Davis from there, but they did get to hear him. I remember clearly that he had a roadie with him who’d broken his arm tripping over a tent-peg at Cambridge. The situation of a blind man being looked after by a one-armed man was a but surreal! Happy days! Back in the 50s the Stanford Arms was a busy pub, my Mum and Dad used to go there. If you go in the Preston Road entrance there was an off sales window and two long benches covered in brown vinyl, my feet couldn’t touch the floor. This is where children could sit, with their packet of crisps and bottle of Muscado, (a bit like Coke before there was Coke). It was very cold and the two tone dark and light green coloured tiled walls didn’t make it feel any warmer. There was also a staircase that was a mystery to me, never did find out what was up there. 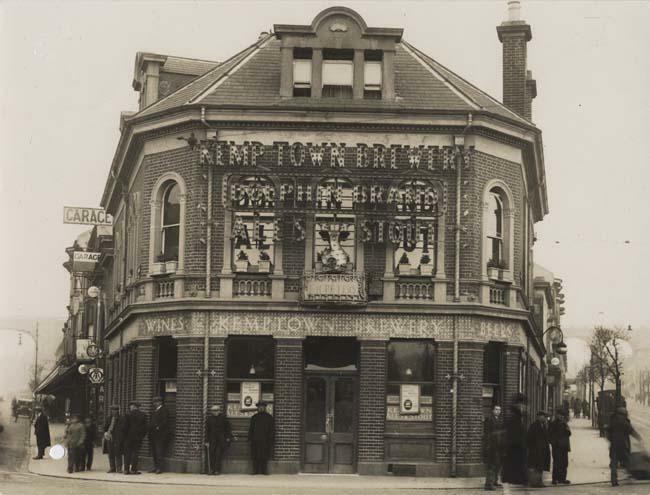 I am led to believe that my Gt Grandmother’s sister and her husband were resident at the Stanford Arms 1923 – 1927. Their names were John Alfred and Ruth Peters. If anyone has any informatioin on them or their time here I would be most grateful. Thank you in advance. My wife and I held our wedding reception in the Stanford Arms in February 1990. I always have always had a soft spot for this pub and was saddened when it changed. Does anyone remember Len Menzies? I worked with him for years at Allen West. Prior to this he worked for the railway. He was a regular at the Stanford. It was Chris Brady that introduced me to the Brighton folk scene. Wonderful times at the Stanford, and the Springfield where my first visit was to see Stefan Grossman who had to cancel so we had Staverton Bridge instead (recently found their legendary album on Spotify). Tim was a big name of the day, also Peggy Seeger and Ewan MacColl. Finally got to see Stefan in ’78 or ’79. Moving away for work brought those weekend treats to a close, and by the time I returned to Brighton those clubs had gone. I’m not nearly as old as some of the folk writing here, but the Stamford is where I sung my first song in public -Solidarity Forever! It must have been in 65 or 66. No-one’s mentioned Terry Masterson or Jack Whyte, or were they at the Heart and Hand, which is the club I first found? Jack is here in BC and I see Terry is still about. Much of my early repertoire I stole from one or the other. I’m running my own thing now – the Princeton Traditional Music Festival, here in Princeton BC, now in its 7th year. A while since I visited this site and always a pleasure to read, or re-read, the comments. Funny thing – I’m meeting up with Tim (who is playing a few gigs here in Germany) over this Easter. No doubt we’ll get around to the ‘good old days’ at the Brighton clubs while having a couple of pints. There are some pictures of me and Tim busking in Germany in the early 80s on my web site for those that may be interested. Mind you we were both somewhat younger then! There’s also an old photo (1964) of Golbey and me and another of Rod Machling and me (circa 1962) when we first started out together as a duo. I’ve often wondered how many other singers and players developed from these folk club roots. Talking to a very fine guitar maker friend who lives in Hersbruck just down the road, (check out Deerbridge Guitars), he told me Wizz and Colin Wilkey were playing recently in Nuernberg (also not far from here). Apparently the locals were playing pool while Wizz performed. More than an insult in my book! I think this is the reason I don’t do these types of gigs anymore. Times, of course, have changed as well as music tastes but I often wonder how many people would nowadays give credit to all the work and fine performers that, back then, kept the enthusiasm, knowledge, and music alive and healthy. So interesting to read all the comments and memories. I grew up in Brighton and spent late teenage years in the 60s visiting all the Folk Clubs in the area. My friend Dot and I used to travel to clubs in her old Morris Traveller. I remember oil cans and oily rags! 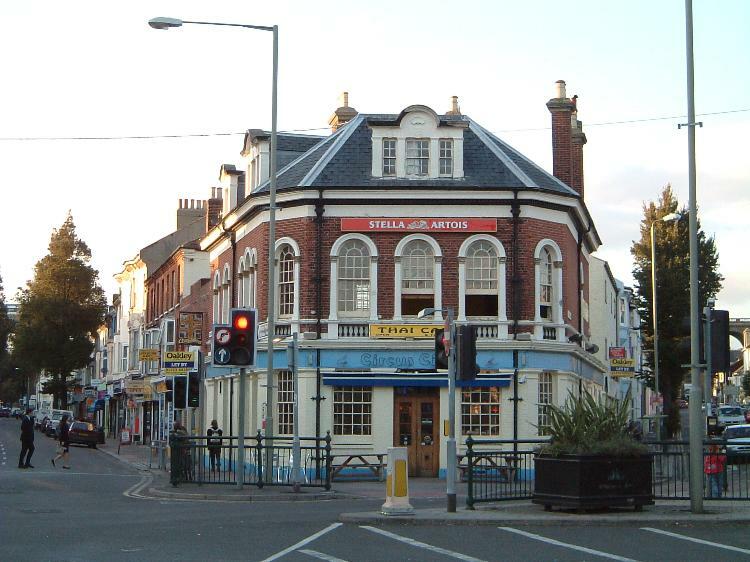 The Stanford and The Springfield were our regulars, occasionally Worthing. I well remember Terry Masterson and Jack ? who I seem to remember was a Scot and moved to Canada with his family. We did give them a lift to the Worthing Club once and I don’t think we broke down. Jack had a beautiful voice. Whenever I hear ‘Will Ye Go Lassie Go’ (hopefully I have got that right) I think of Jack singing in the Springfield. Terry sang ‘Irish’ songs but have a feeling that he was not actually Irish! Dot and I met up in Brighton in September, camping at Sheepcote Valley with our husbands (not from Brighton). We went to Allan Taylor’s 70th Birthday Concert. Although not living in the area now I have been lucky enough to live in the north east where there is a good Folk Tradition. Our town for over 40 years, Saltburn by the sea has had a Folk Festival (previously Redcar) and we helped by putting up performers and organisers. We now live near Ely which thankfully also has a Festival. I met Diz Disley at the Stanford Arms on a Sunday evening in 1969. He played chords on the guitar that simply did not, and still don’t, exist, but sounded terrific! I was enthralled. So enthralled that I missed the last train back to London in order to catch the end of his performance. He offered me a lift back to town in his elderly Rolls Royce (reputed always to contain a barrel of draft beer in the boot), and off we set northwards at 11:30pm. He hadn’t told me about the parties he had promised to drop in on the way. To cut a very long story short, I was dropped off on Clapham Common at 4:00am and had to walk home to West Wimbledon. Astonishingly for even then, I made it home without being mugged. Although I never heard them perform together, I’m sure Diz’s guitar style would have made the perfect foil to Stefan Grappelli’s jazz violin – another time I heard him he was accompanying Martin Carthy and Dave Swarbrick, in the days before he and Grappelli knew each other. I was very sorry to hear of his demise, and shall look for surviving recordings. The reputed state of his finances at the end do not surprise me one little bit – he struck me as being extremely generous and unselfish. The Stanford Arms became Circus Circus and is now The Joker. Last October Peggy Seeger had a live gig with one of her sons at the Duke Of Yorks cinema which is literally just across the road from the old Stanford. Amazingly, it was exactly 50 years to the day that Peggy played her first gig at the Stanford Folk Club. Doesn’t half make you feel old! She was on good form, though, and she clearly remembered her Stanford (and Springfield Hotel) visits. I well remember the Sunday night folk club. I remember seeing the following guests there: Mike Seeger, the Levee Breakers, Ralph McTell, Davy Graham, Martin Carthy and Dave Swarbrick and many others. Also frequented the Springfield (Nic Jones, John James, Alex Campbell et al) on Fridays. I knew Keith Johns very well as he lived in Kemp Town near me. Loved Keith’s playing. Saw Seamus Ennis and the Etchingham Steam Band at Eastbourne. Duster Bennett, Shirley Collins (top of the bill), Paul Simon and his college chum Art over from the States on vacation in Bexhill. Jesse Fuller at the old Hove Tall Hall. The list goes on and on… What a time for live music! With regard to an earlier comment, I too went to that Dome/Pavilion concert with Gary Davis, Jack Elliot and Buffy Ste Marie. I thought Buffy looked fantastic. I still have the programme. Yes I remember Jack’s plastered leg now – he looked fantastic in a completely different way. Great little concert! I saw John Fahey at the Dome too. Had to be pushed on stage. Took an age to get going playing with his guitar cases and flagon of, I think, cola. But once he started he played stuff from his Transfiguration of Blind Joe Death album. Beautiful. Jim (Marshall) I well remember you on the door at the Stanford Arms – at the top of those mysterious stairs!! Now, I wonder if any of the sessions there were taped and if so where are those tapes now? I seem to remember at least one regular tape recordist there. Meanwhile we have discovered many Folkweave recordings – but none from The Springfield Hotel nor the Stanford Arms Folk Clubs. Searches at the BBC’s Genome website only lists Folkweave featuring guests at Lewes Folk Club, Horsham Folk Club, and the Brighton Folk Festival of 1977. But one recording of Folkweave we do have features a Sussex singer – Jerry Jordan – performing at Horsham Folk Club in about 1975. His powerful voice I well remember from appearances at one of these folk clubs. We can upload this to a cloud site. By the way, Phil (Edwards) – about time we met up again for a pint and a session of reminiscing!